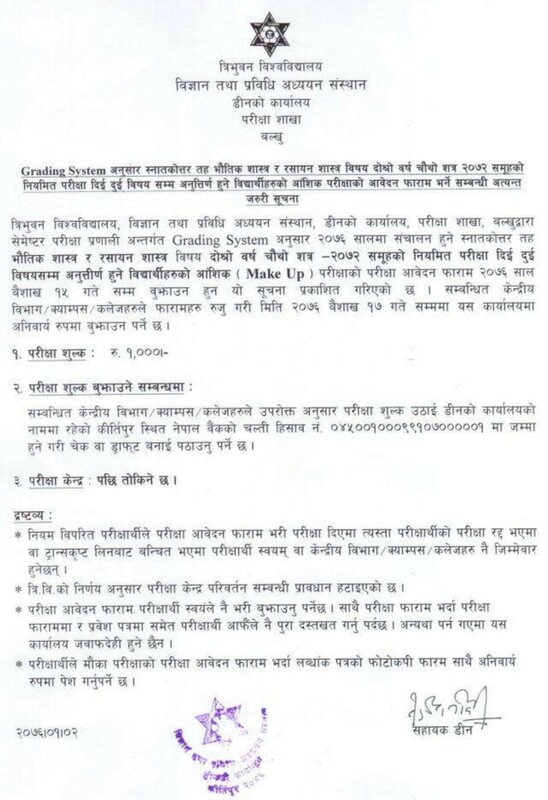 Tribhuvan University, Institute of Science and Technology has published the Make Up Exam Form Fill Up Notice for M.Sc. Physics (First Year, Second Semester). 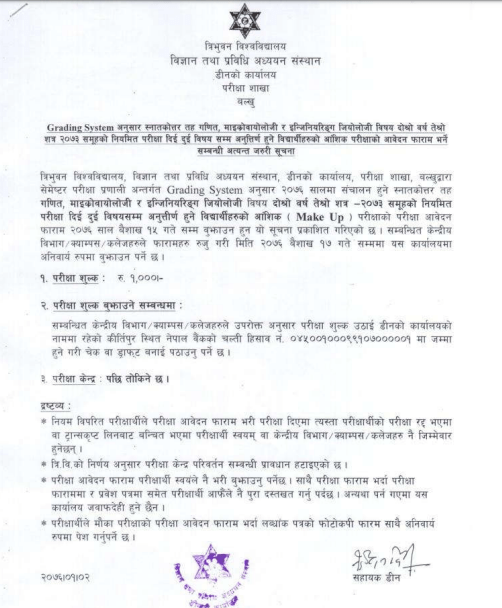 Students should submit the exam form before Baisakh 10, 2076 (April 23, 2019). Examination Centers will be published later. This time instructor benefit commission N epal has approached the educators for each of the three levels. Fundamentally in this article we center around Primary Level TSC Nepal Mathematics Questions.